A beautiful, post Valentine's Day bouquet displayed in our Sophie Conran White Jug. 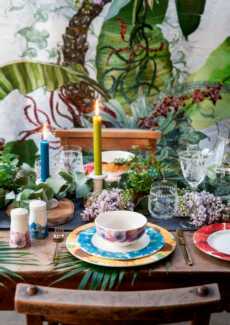 A force in the homewares industry, the Portmeirion Group, encompasses the Portmeirion, Spode, Royal Worcester and Pimpernel brands. It is a market leader in high quality and innovatively designed tableware, cookware, giftware and tabletop accessories.